There’s no secret that Buffalo Bills tickets have been available and cheap to find over the past decade. There have been far more sellers than fans wanting to buy game tickets. That’s what happens when a team doesn’t make the Playoffs in 20 years. Ticket prices in the secondary market are up sharply so far this year, up about 25- 50% at the same point than last year after the schedule release and draft. So how do you get cheap Bills tickets this year, especially during those non-December games? Let’s take a look at what ticket buying options Bills Fans have. 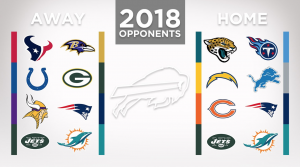 Buffalo Bills Season Tickets are currently on sale and available, however, the choice seat locations are most likely sold-out. There are Bills season ticket holders that have owned their seats for over 50 years! As a special privilege, Buffalo Bills Group Tickets go on sale to season ticket holders on May 4th, 2018 at 9AM. There is a limit of eight (8) tickets per game. Buffalo Bills My One Buffalo Presale goes on sale on May 7th, 2018 at Noon. Check facebook and twitter for the presale access code. Visit BuffaloBills.com for more info. Buffalo Bills Individual Tickets are on sale at Noon on May 8th, 2018. Buffalo Bills Group Tickets will be on sale on May 9th, 2018. 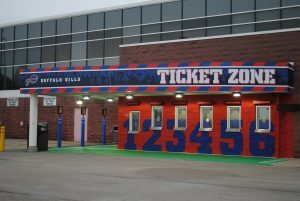 Note: To order Buffalo Bills Tickets directly from the One Bills Drive Box Office call 877-BB-TICKS or visit BuffaloBills.com for more info. 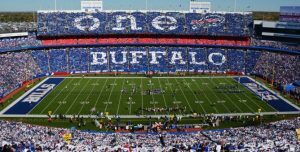 VIPTix can help fans buy and sell all home and away Buffalo Bills game tickets. Buy Home & Away Bills Tickets!